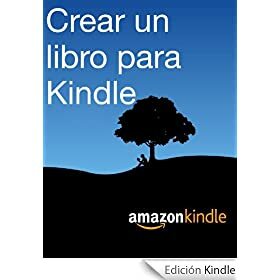 Para poder descargar los libros debes crearte una cuenta gratuita en Amazon.com. Siglo XXIII. En la estación orbital Lagrange 4, seis personas se dan cita para partir a un remoto mundo situado a ochenta años luz de la Tierra. Keil, programador que malvive en un taller de reparaciones, sueña ingenuamente con un nuevo edén alejado de la polucionada Tierra. Luria, devastada por la pérdida de su hijo, desea empezar de nuevo y borrar el fracaso de su matrimonio. Nelser, bioquímico de la misión, arrastra un pasado turbulento a causa de su trabajo en una cárcel privada. Glae, ex presidiaria de una de esas cárceles, o Paws, individuo aficionado a los alcaloides y a las máquinas de multirrealidad, completan una tripulación dirigida por Allis Reyan, ingeniero de estructuras orbitales forzado a asumir el mando tras el expediente abierto en la prospección de Ío. 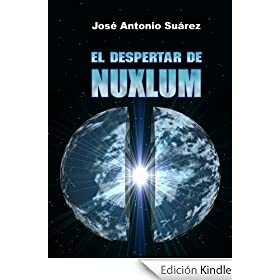 Nuxlum no es el paraíso que prometen los anuncios del gobierno, y en su superficie reinan temperaturas de 100 ºC, con nubes de ácido sulfúrico que se evapora en la estratosfera a causa de sus extremas condiciones climáticas. Su única riqueza es el yacimiento de gas branio que el gobierno pretende explotar. Los colonos acabarán comprendiendo que no es el gas el motivo por el que han sido contratados, sino otro mucho más oscuro que las autoridades mantienen en secreto. En 1961, tras más de veinte años en paradero desconocido, Rogelio Villanueva regresa a su pueblo para hacerse cargo del negocio familiar. En 1967, su cadáver aparece desangrado en la bañera. En el lavabo, una nota con una críptica inscripción; y bajo su barbilla, dos extrañas marcas amoratadas. 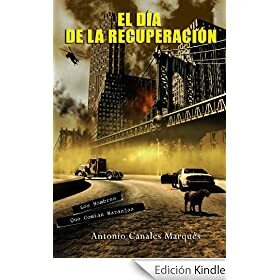 Muy pronto, lo que parecía ser un suicidio se revela como un asesinato, dando pie a una investigación que desembocará en una conclusión inesperada. Ulm, octubre de 1349: Después de la contienda civil entre el gremio de artesanos y el patriciado urbano se liquidan, allí, a través de la firma de la paz. Pequeño otra vez en la metrópoli comercial de gran alcance en las orillas del Danubio. Con el fin de aumentar la riqueza de la ciudad y que Dios levante un monumento, a partir de la excavación de un pozo enorme, que es unos años más tarde recibió la base para construir el edificio de la iglesia más potente y himmelstürmendsten en el mundo. 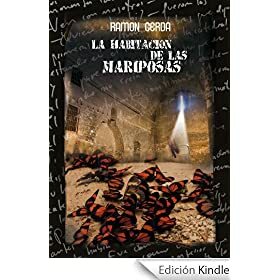 El irreflexivo lector que se adentre en la lectura de este libro descubrirá, al poco de haberlo empezado, que carece por completo de profundidad, que es pedante y estúpido y que mejor hubiese hecho invirtiendo los 89 céntimos que cuesta en tomar un café en el bar de abajo. 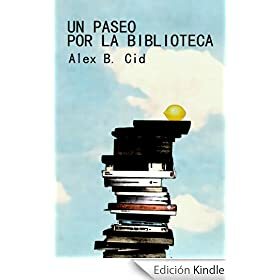 El libro es un despropósito; lo escribí en una noche de aburrimiento y lo ofrezco al público por simple curiosidad. 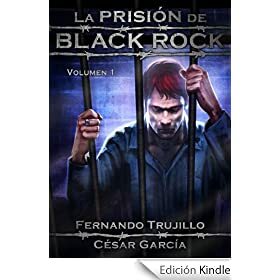 Lamento que el precio sea desorbitado, pero es el mínimo que fija Amazon para poder publicarlo. Más allá de esto poco puedo decir sobre él. Explicar en unas pocas palabras de qué trata es algo excesivamente complicado, entre otras cosas porque no trata de nada en absoluto. Si por algún oscuro motivo el posible lector todavía siente curiosidad por su contenido, le invito a que descargue la muestra gratuita. De este modo podrá leer el inicio del libro, sopesar su economía y decidir –bajo su exclusiva responsabilidad- si sigue o no adelante con la compra. Muchas veces nos imaginamos un futuro lleno de alta tecnología, y en nada parecido al mundo en el que ahora vivimos. ¿Y si el mundo en el futuro tampoco difiere tanto del que vivimos? ¿Y si lo que realmente cambiara fuera el ser humano y el orden mundial? ¿Y si las religiones no existieran? ¿Y si todos habláramos las mismas lenguas? Ese es el futuro en el que se encuentra nuestro protagonista, Miguel. Un mundo sin fronteras, donde la ciencia es la base que sustenta el planeta, en plena armonía con la naturaleza y con el propio hombre. Todo sucedió a partir del Día de la Recuperación. Parece un mundo perfecto, pero, ¿realmente lo es? Esta guía se ha desarrollado teniendo en mente en todo momento al usuario. En ella se describirán los principales pasos de cada parte del proceso y, aunque en ocasiones puede resultar repetitiva, la intención es que obtenga exactamente la información que necesita cuando la necesita. Why can't I trace them? What happened to them? Driven by the irony of being a genealogist who doesn't know who his own parents are, Tayte soon finds that the assignment shares a stark similarity to his own struggle. Someone has gone to great lengths to erase an entire family bloodline from recorded history and he's not going home until he's found out why. After all, if he's not good enough to find this family, how can he ever expect to be good enough to someday find his own? 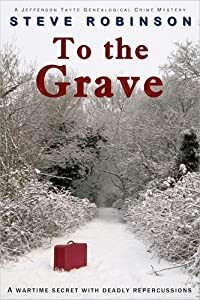 Set in Cornwall, England, past and present, Tayte's research centres around the tragic life of a young Cornish girl, a writing box, and the discovery of a dark family secret that he believes will lead him to the family he is looking for. Trouble is, someone else is looking for the same answers and they will stop at nothing to find them. The priest hears the confession of a frightened prison inmate, and he learns that a man facing lethal injection in 84 hours is innocent. The lead investigator on the high-profile case was his old his friend Sean O’Brien. And now O'Brien has a chance to right a horrible wrong. But he has less than 84 hours to uncover clues to a crime that sent an innocent man to death row. 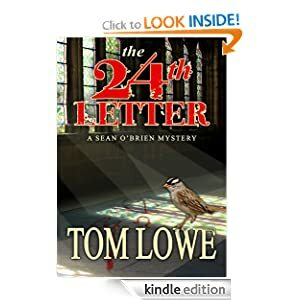 Evidence may not lie, but evil does, and when the original killer comes out of his lair, O'Brien is in a race to save two lives - the man on death row and his own. We have all read wonderful stories about the handsome rakes and dashing scoundrels; the debauched dukes, the wicked earls, and the roguish viscounts. 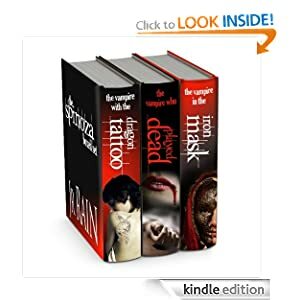 In these stories, the mad, bad aristocrats find the woman who ultimately tames them, who turns them into a monogamous man, a loving husband and father. I have always wondered, though, what happened to all those women who came before that woman who tamed him? What happened to those poor souls he debauched and ruined? How did they survive the scandal? How did they go on after the rake left them behind? This is the story of three women in that exact situation--three women who've been the victims of one rake who has compromised them all. These women have decided that enough is enough, and while they can't take on society, perhaps--just perhaps--they can change one man. This is the story of his reformation. This is the story of their revenge. Joan Sanderson's life is stuck. Her older sister, Allie, is starting a family and her younger sister, Tori, has a budding career. Meanwhile, Joan is living at home with Mom and looking after her aging grandmother. Not exactly a recipe for excitement. That is, until a hunky young doctor moves in next door. Suddenly Joan has a goal--to get a date. But it won't be easy. Pretty Tori flirts relentlessly with him and Joan is sure that she can't compete. But with a little help from God, Allie, and an enormous mutt with bad manners, maybe Joan can find her way out of this rut. Singer-songwriter Christine Daley was a Boston celebrity with a local radio hit in the 1990s, but she took a short career break to marry and have kids. Now, sixteen years later, she’s a frustrated suburban housewife, still on break. So Chris files for divorce and attempts to reestablish her own rhythms, both in music and in love. Her two teenagers, however—who are facing serious issues themselves—seem to need their mom more than ever. And her manipulative, soon-to-be-ex-husband is throwing every obstacle he can find into her way. Chris is also perplexed by the radical changes in the music industry, and she doesn’t feel ready for hi-tech dating. And yet, she knows what she wants. Is there room in the mix for her? 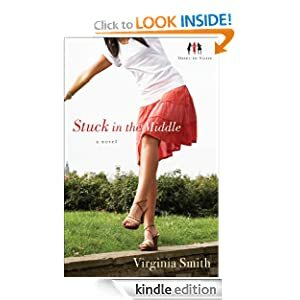 At thirty, Harper fears her chances for a thriving career and true love are both fading fast. But when Harper is offered an unexpected role in a Broadway play—as understudy to New York's biggest diva—she wonders if everything is about to change. Hoping to find love in NYC, Harper reluctantly signs up for an online dating site but the only match Harper is even remotely interested in lives thousands of miles away. 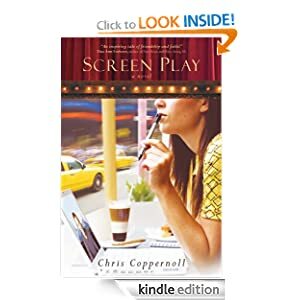 An actress who doesn't act, searching for love with someone she's never seen, Harper longs for God to show her He's still listening. Gloria Star is rich and famous. She's on a hit television show and engaged to one of the most desired men in Hollywood. Her life is perfect. But then she gets a letter in the mail that changes everything. The past she has been trying to forget for so long has finally come back to haunt her. Gloria Star hasn't always been an A-list celebrity. She used to be just a regular Midwestern girl named Glory Stark. 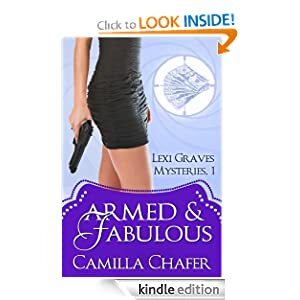 Now she is forced to reconcile her two lives because Johnny Carter, the only man she ever loved, has asked her to return to her hometown, and she can't say no. Ten years ago, one night changed everything for Gloria and Johnny. Not only did Gloria lose Johnny, but she also lost herself. Now she's headed back to Princeton, Missouri, to reconnect with her sister and make amends with Johnny. She quickly realizes that returning to Glory Stark's life isn't going to be easy. 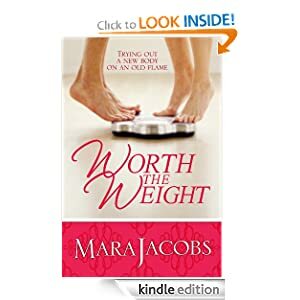 As she faces painful truths about her past and an uncertain future, Gloria learns that forgiveness is essential, family is everything and love is forever. 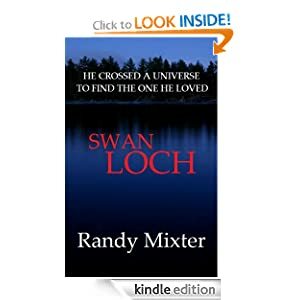 Danger has come to the peaceful New England town of Swan Loch, Maine, in the form of an elusive killer who strikes quickly and then vanishes after each murder, leaving no bodies behind..
Police Chief Chris Hayward, with the help of FBI agent Jake Stanton, tries to solve a crime that seems unsolvable, and now it is personal. Hayward's wife has become the killer's latest victim. When all hope seems lost, a young girl wanders into Swan Loch. She claims the wind brought her there, and she has a message for Chris Hayward. Your wife is alive, and I know where to find her. And so a journey begins, a journey that may, or may not, return Chris to the only woman he ever loved. The quest will not be easy. They will go to a place far away. A place where all mysteries will be solved, and where evil has found the perfect hiding place. They must hurry, because in less than twelve hours the killer will strike again. And this time none will be saved. Many readers have said that Beyond Nostalgia is a story that kept reappearing in their minds long after they read it. A multi-category Amazon Bestseller, it is book that will make you laugh and make you cry. It will break your heart and then it will heal it again. You’ll love the main character, and you will hate him as well. “Dean Cassidy looks back on a life filled with hardship and remembers Theresa Wayman, the bright spark that lit up his world when he was eighteen. As an adult, many years later, Cassidy continues his struggle to be successful in life, but can't move past his betrayal and loss of Theresa. 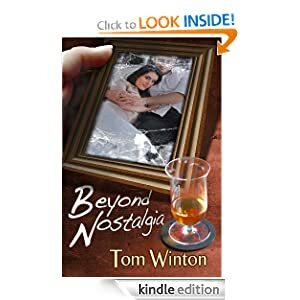 Beyond Nostalgia is a poignant story about growing up, making choices, betrayal, forgiveness and moving on. Cassidy and Theresa find inspiration, joy and acceptance together in their world of dysfunctional families and economic hardships. But one night Cassidy, in a drunken stupor, makes a terrible choice that costs him his relationship with Theresa. 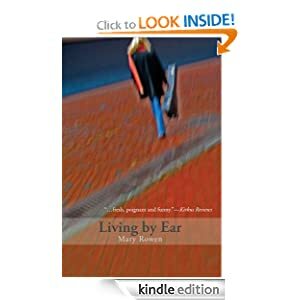 Twenty-five years later, with the encouragement of his devoted wife, Cassidy focuses his sadness and angst into writing a book - a book that will eventually lead him to another crossroad in his life and redemption from his suffering. Two years ago, a woman is murdered in cold blood. Now a son she'd given up for adoption returns to claim his inheritance. To verify his claim, a DNA test is ordered. Except there's one problem. Her grave is empty. 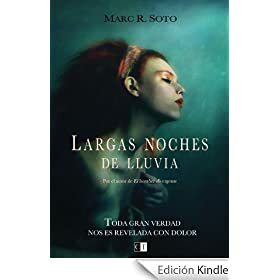 Now hired to find the missing body, Spinoza will follow a set of clues that leads him to the unthinkable, a world of nightmares and dreamscapes. A world inhabited by the living and the dead. Spinoza is a private investigator who specializes in finding the missing. He's good at what he does. Damn good. But he's also a recovering alcoholic and a royal mess. 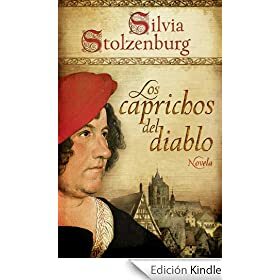 Now determined to redeem his troubled soul, Spinoza won't let his personal demons—or demons of any kind—stop him from finding the missing. 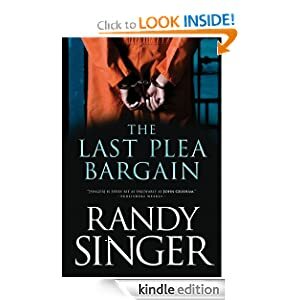 In this third and final Spinoza mystery, a worker at a popular medieval dinner theater hires Spinoza to find out the identity of one of his co-workers, a co-worker who's never been seen without an iron mask...and who just might be a real prisoner. Spinoza's new client hints that the man in the iron mask is being held without his consent in the bowels of the dinner theater, a forbidden area for the other employees. When Spinoza attends Medievaland, posing as a guest, he doesn't count on bumping into someone from a previous case, nor can he ever forget what he finds when his investigation takes him past his own life tragedy and brings him face-to-face with the vampire imprisoned in the iron mask. But is the vampire someone he should rescue, or fear? Muchísimas gracias por ponerlos en nuestras manos. Voy a ver si me descargo alguno, que veo que tienen buena pinta.